Windeltorte - The German Word For Diaper Cake! 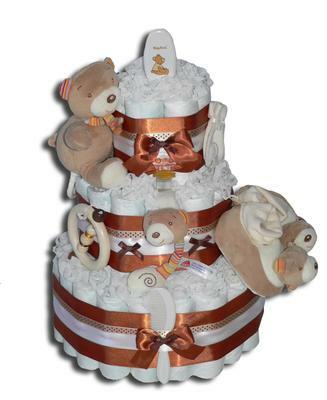 Windeltortenzauber (Magic Diaper Cakes) is a small online diaper cake business in the South of Germany. We love the American style diaper cakes, so we try to make our cakes more funky than the Germans use to. Simply visit our shop and get inspired. Thanks for your entry, Kristin! That's a very beautiful and professional diaper cake!